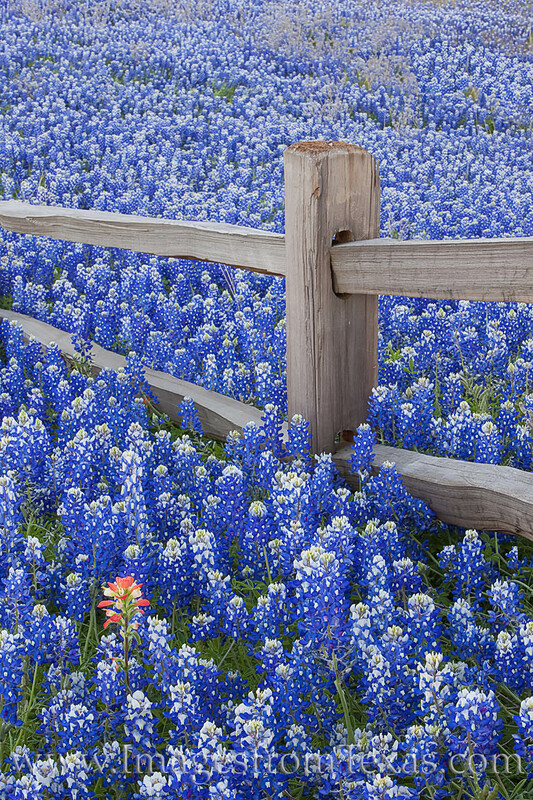 An Indian Paintbrush stands alone in a field of bluebonnets that surround an old wooden fence in the Texas Hill Country. This area in Llano County doesn’t often show this much color, but every 5-7 years during a wet spring, the landscape explodes in a sea of blue with a sprinkling of red. Photo © copyright by Rob Greebon.